The Elephant family is visiting their friend Maria in New Mexico. Fun is in store as the Elephants enjoy the Albuquerque International Balloon Fiesta. And a special birthday party called a quinceañera. Harold can't wait to see cowboys and Indians! Maria has a special surprise waiting for the Elephant family. Can Harold and Penelope guess what it is? Will Penelope see any UFOs? Will Harold find any chiles he does not like? Get ready for a great New Mexican adventure with the Elephant family! Read the first two chapters of the book! Now Available! 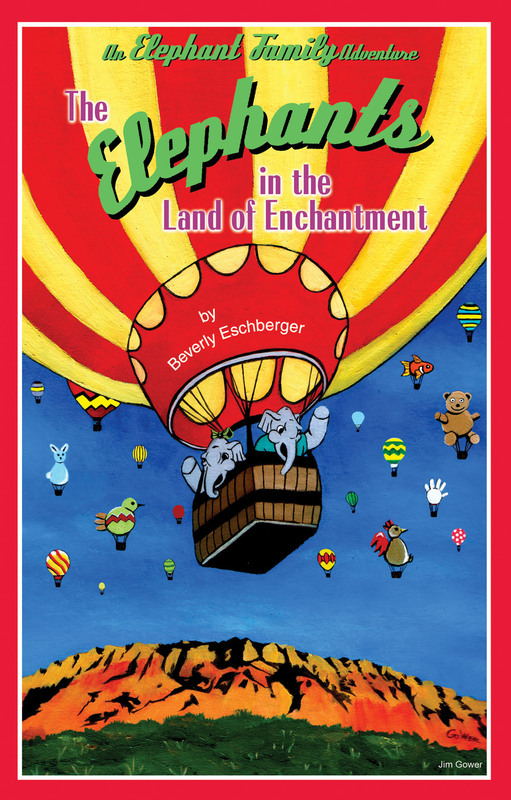 Download our FREE Teacher's Guide for The Elephants in the Land of Enchantment. Print out this order form and mail it to us to pre-order your copy. The Elephants in the Land of Enchantment is now available as a downloadable e-book from Amazon Kindle. Download a copy of The Elephants in the Land of Enchantment for only $0.99!